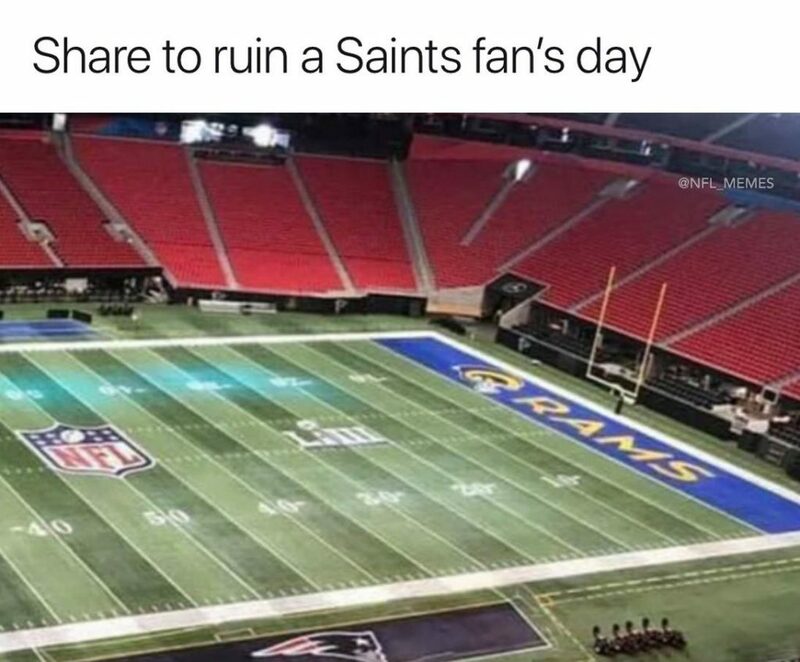 A week before the Super Bowl, and the memes are focusing on 3 things: Still making fun of the New Orleans Saints, showing everyone supports the Los Angeles Rams, and the usual New England Patriots are cheaters remarks. 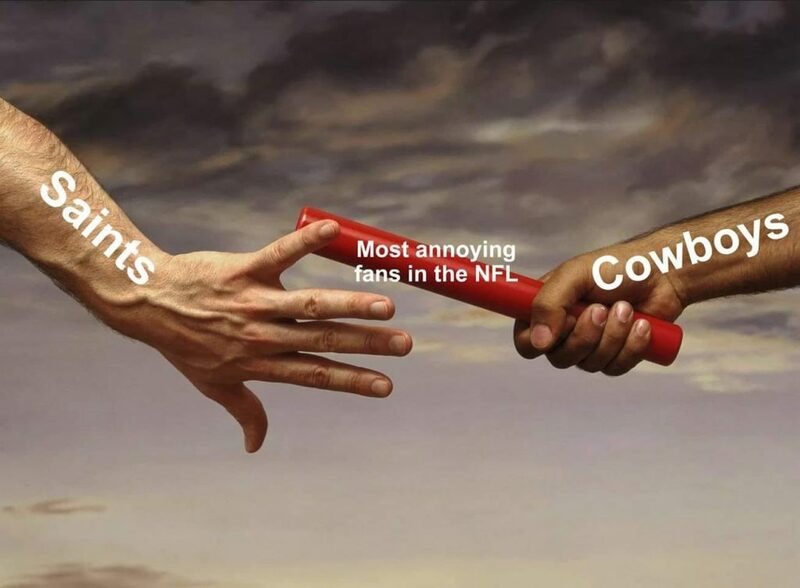 And without anything special being said and done in the next few days (probably not going to be something beyond the generic considering the two teams involved), the 3 mentioned themes above will dominate the meme conversation for the rest of the week, with the focus shifting towards the two teams that will actually play in the game. 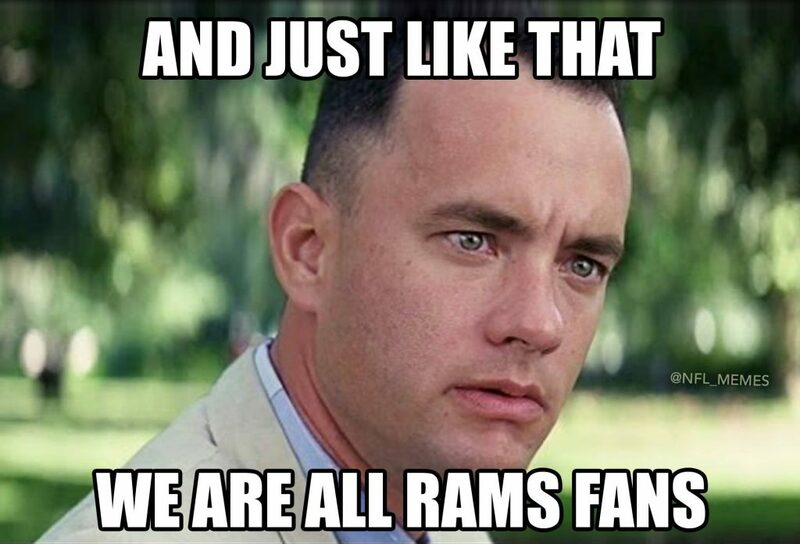 The Rams most interesting character is Sean McVay, but meme-wise? 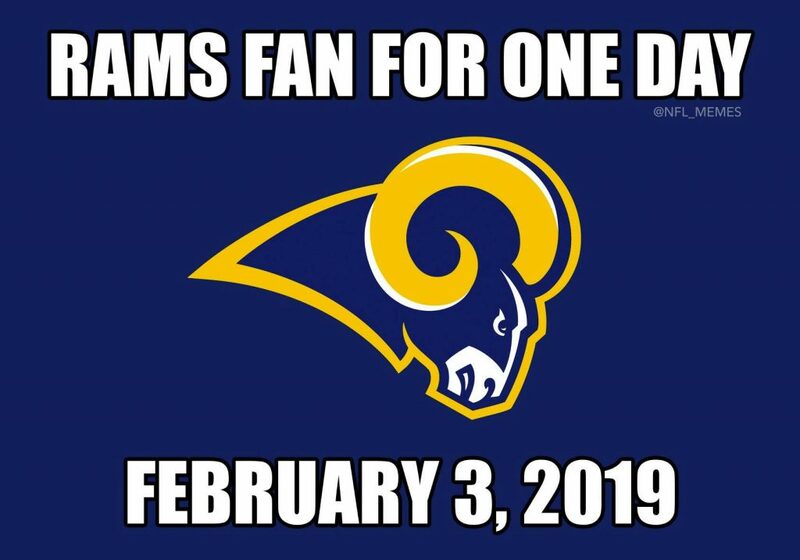 There’s really very little to grasp at besides just how many people will be rooting for the Rams in the franchise’s first Super Bowl in almost 20 years. The team was a St. Louis franchise then, heading into their game against the surprising and slightly lucky Patriots (Tuck Rule) as the greatest show on turf. We know what happened next. 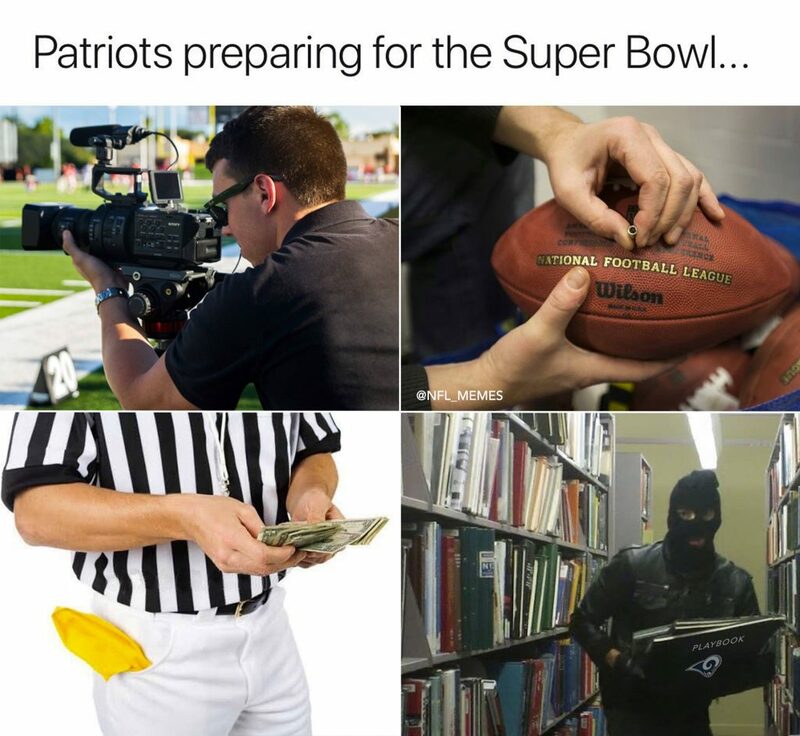 For the Patriots, it’s simply more of the same. 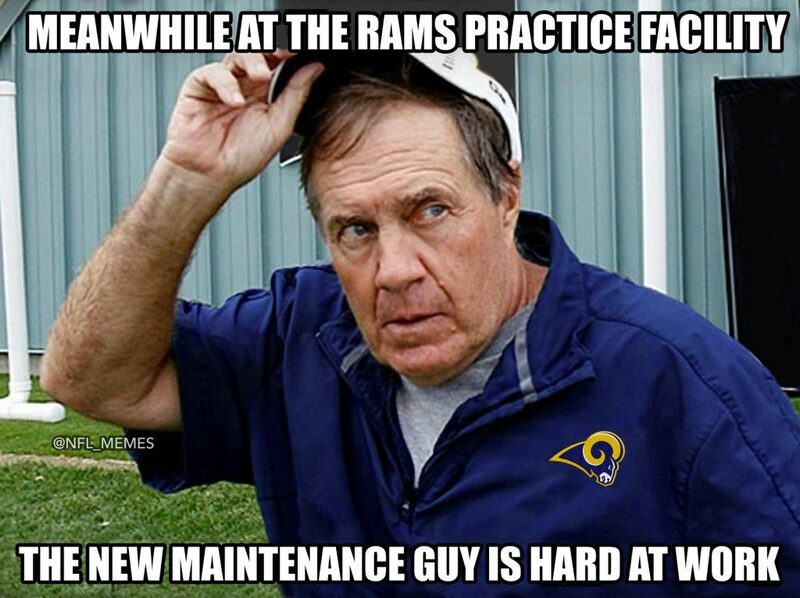 Belichick and Brady are cheaters, Belichick hiding and spying, been there, done that. 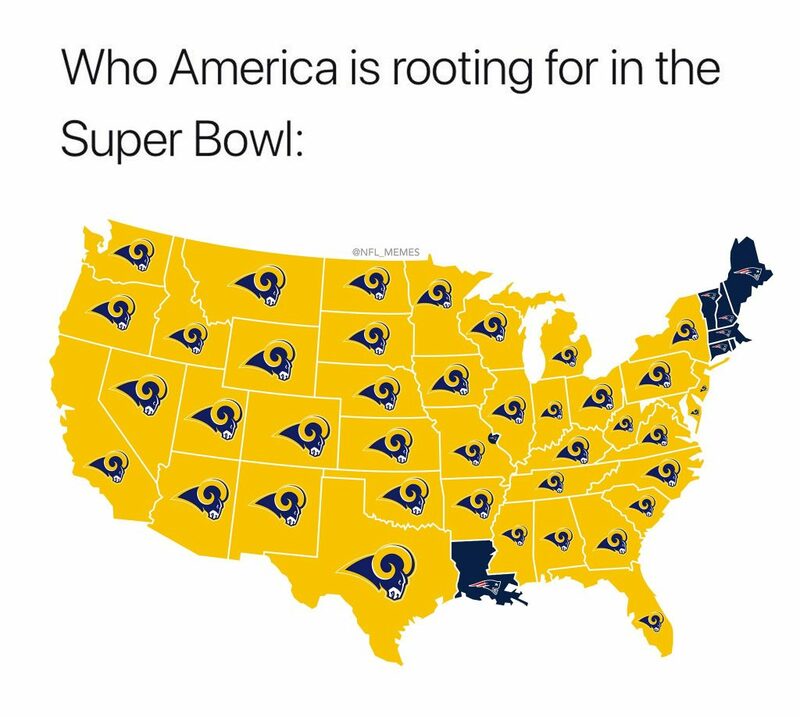 It’s still funny, but just as people have been growing tired of seeing the same team making it to the Super Bowl, many have been growing tired of the same argument about the legitimacy of their reign.